How hard can it be. ? Yep, one looks for nuggets and the other makes them-eventually. Yer but , the pizza was cold and they forgot the anchovies. Did ya get the pizza delivered? 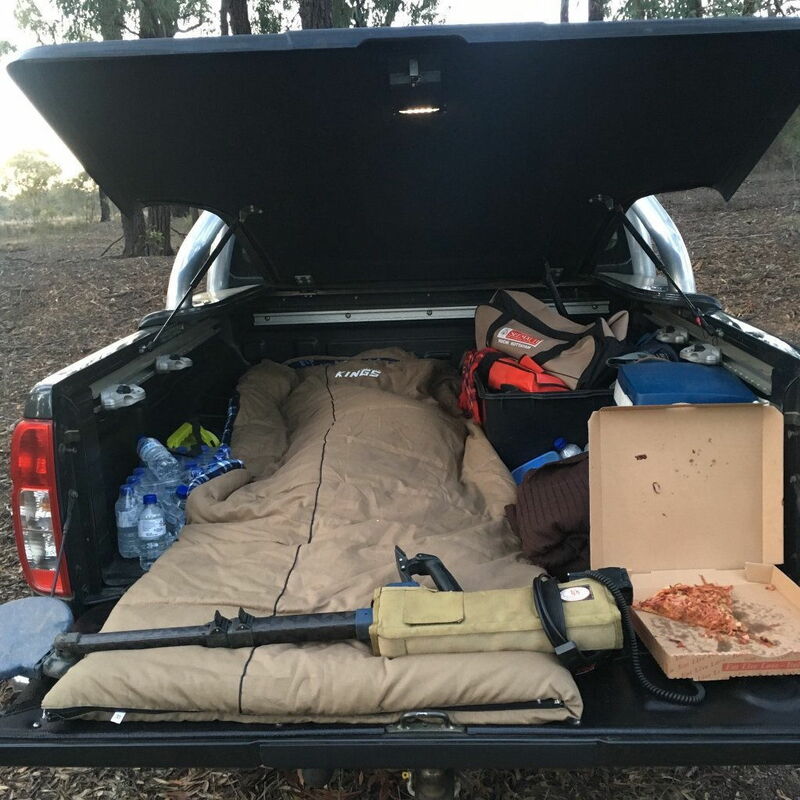 I meant sleeping in a swag, UNDER the landy, hence using it as a roof! I did wonder that after I posted. Used mine the same way. Just got to remember it's there when you lift your head up. Probably more protection under it than in it on some days. I swag it when working so like aircon etc when I am fossicking. One of the funniest things I have read in the forum Jaros. "Closed mouth gathers no feet"
Pizza trays at the ready - frozen mini pizza x 2 - add extra cheese - 1 hour for 6 amps = piping hot pizza. Great in winter. Alfoil container with left over soup, stews, Chinese etc - Great for Lunch or Dinner. your cooking times would indicate you still have the ciggy plug on the lead ??? 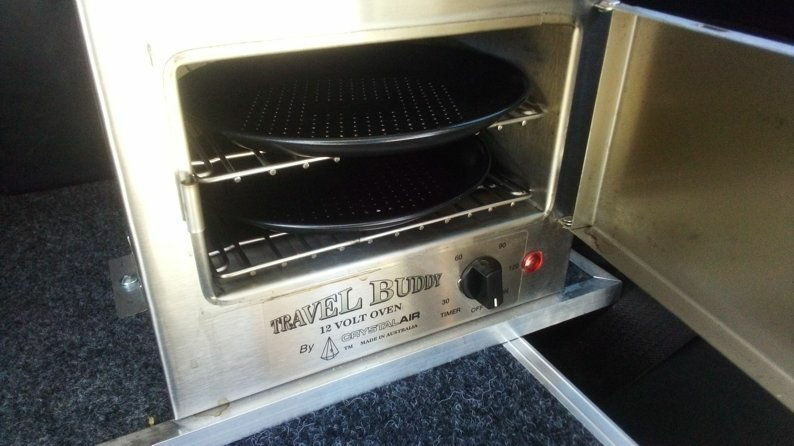 The Travel buddy ovens look like a great bit of kit,do you just use it while driving? I guess it would run a car battery flat pretty quick with the car not running. I do still have the cig plug on the lead. 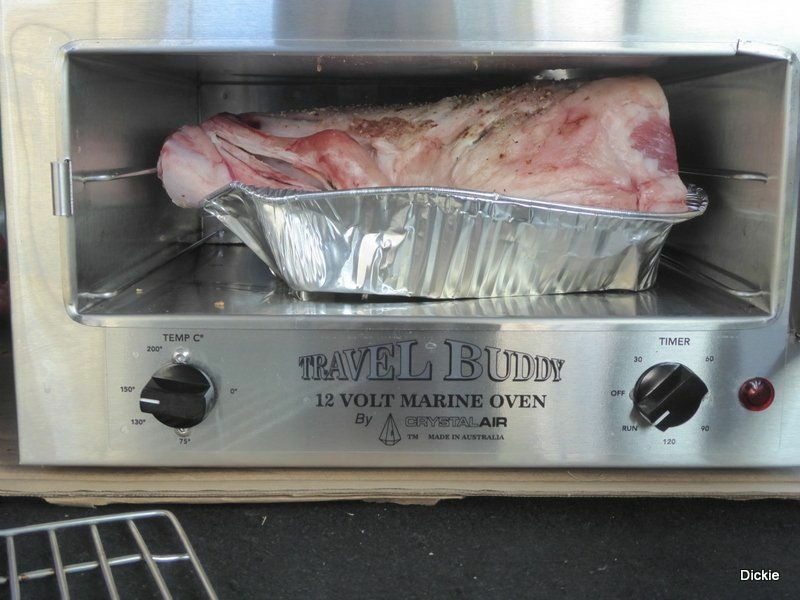 The oven is the small 6 amp not the marine which is 10amp. It is also from my Auxiliary battery and generally when parked up so not when on charge from the BCDC. I also did not want to change during the warranty period which is now over. I have a 100AH for it and the fridge. Generally used in winter time so plenty of juice. But I also have a "blanket" 110W solar I can deploy if needed. The times are all for frozen food straight into the oven. Thawed food is obviously less cook time. Are you inferring that changing to something like an Anderson will change these times? I've been guilty of glamping as far back as 1980. Yes, we can see from your shorts and ti shirts that it is really toasty in there. 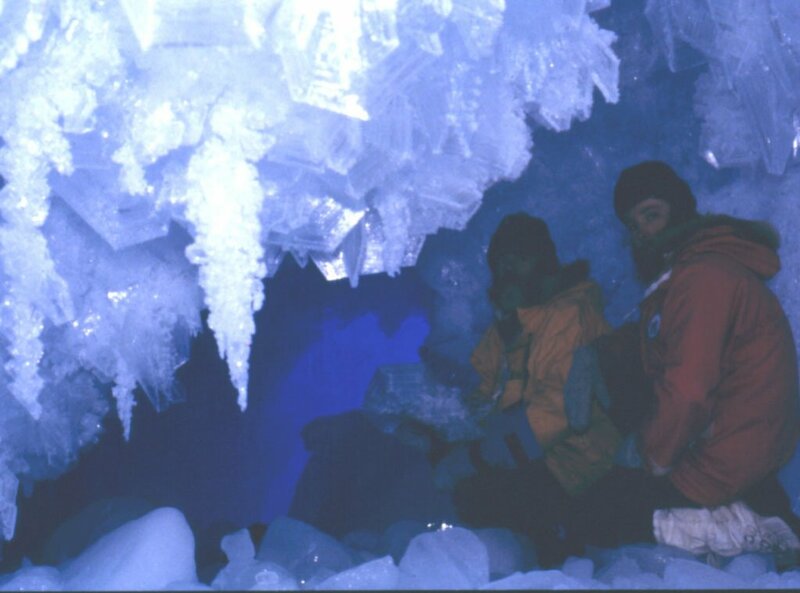 My experience is that igloos can reach a sweltering zero degrees in the Canadian Arctic. I prefer something a lot more solid over my head than a flynet. Why be comfortable and cool/warm when you can be miserable? 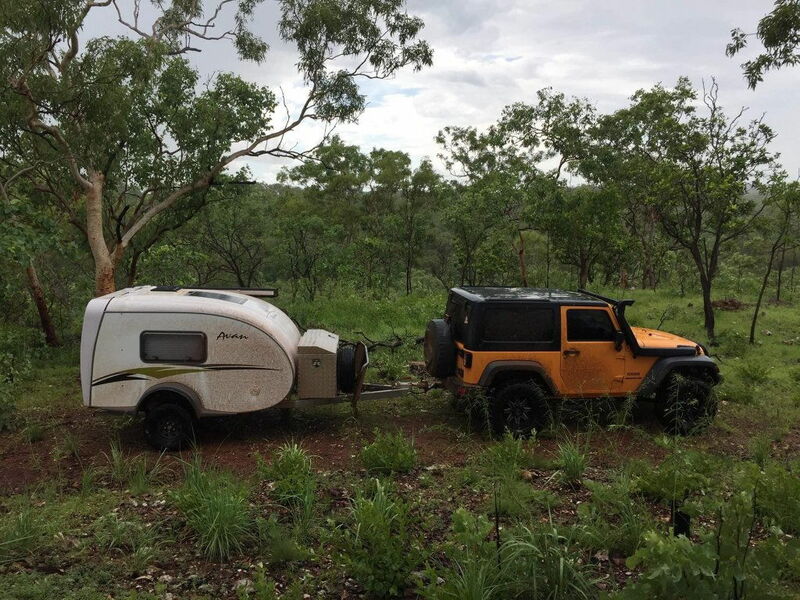 There is something between sleeping under a vehicle and glamping. My spare fuel tank stinks, and I don't like wriggly things that hiss and cuddle me for comfort. After picking up someone else's rubbish again on the weekend, & discussions over a few beers afterwards, & then reading some comments & seeing some pics elsewhere on this forum relating to a tour operators clients rubbish piles (& un-filled holes ), I was thinking "How do we get people to care more about what they do & don't do". 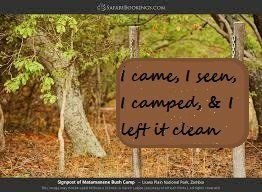 Bush camps & access roads need to have more visually prominent signs. I was inspired to doctor this image up. Our parks managers should do something like this I reckon.